Updated Thursday April 18, 2019 by Todd Lyons. For 2019, Wayland-Weston Youth Football is excited to offer tackle and flag football!!! We understand that many families travel over the summer and children may not be able to make every practice. We start practice in mid to late August to give each child as much opportunity as possible to get enough practice time to be ready for our first games the weekend of September 1st. We do not expect every player to attend every practice, but ask that you work with your coaches to let them know when your child will and will not be at practice. Once the regular season starts, we practice on Tuesdays and Thursdays. During the regular season it is important for players to attend both practices during the week to ensure they are prepared for their games on Sunday. 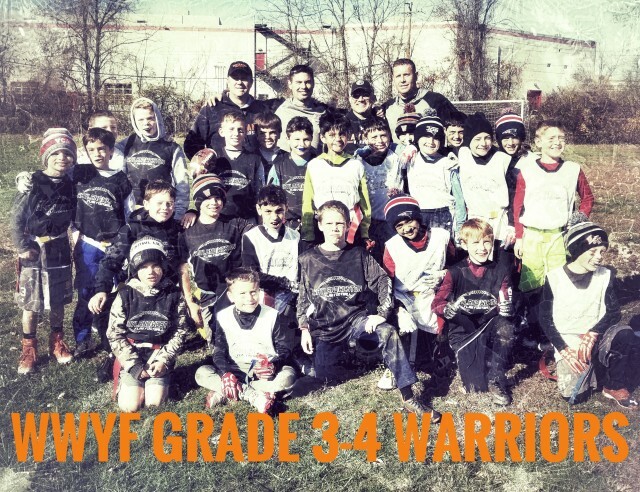 Go to the WWYF&C web site at http://www.wwyouthfootball.com. Click the “Register Now” banner in the center of the page. Log-in or create a profile. Choose the program you want to register a child in. If you have any trouble with the registration process or have questions about any of our programs, please contact me at president@wwyouthfootball.com.